This afternoon, Substitute House Bill 1798, our top-priority short-term rental bill passed in the Senate, 35-6! Because the bill was amended in the Senate it will have to go back to the House to have those changes accepted or rejected before heading to the governor’s desk. This is a WIN for members and creates parity in the lodging industry and protects consumers with additional safety measures. Read more. A bill inspired by the European Union’s General Data Protection Regulation (GDPR) is making its way through the legislative process. A version of the bill including elements we support passed in the Senate and went to the House where those elements were stripped. We thought the bill was dead, but a new title only bill without any content was introduced. This bill is a priority for the governor and the majorities in both chambers. 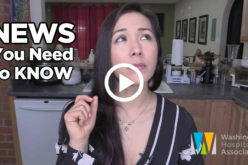 We will keep you updated on the progress of this bill, and depending on the outcome we may need to call you to action if the bill doesn’t make it easy for you to comply with the law. Read more here. Please stay tuned. 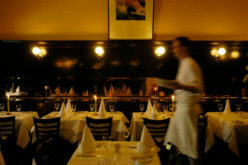 Or any other hot topics facing the hospitality industry? 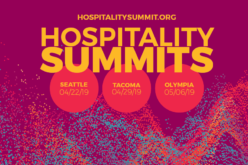 Come to the Hospitality Summits in Seattle, Tacoma and Olympia, and learn how to optimize your business. 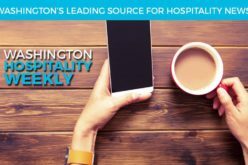 Network with fellow hospitality business owners and operators and check out cutting-edge vendors poised to help streamline your operation. Register today. The team from Mt. Spokane will present a fundraising dinner at 7 p.m., Saturday, April 13, at Kalispel Golf and Country Club, 2010 W. Waikiki Road. The students will prepare their award-winning meal and there will be silent and live auctions to raise funds for their trip to Washington, D.C., in May. To purchase tickets, email or call 509-939-8917. It’s time to buy your tickets! The annual Spokane Chapter Golf Tournament will be June 11 at Downriver Golf Course, 3225 N. Columbia Circle, Spokane. This year’s tournament will benefit local ProStart students, Feed Spokane and the Inland Northwest Culinary Academy at Spokane Community College. Buy your tickets here. Last fall’s success of the Lime Bike pilot program in Spokane has encouraged city officials to expand it. Bike sharing was a big win for Spokane hotels last year and proved to be very popular. The city council voted to ease restrictions on the helmet law for electric scooters rented through a smartphone app and to restrict scooters to the streets. The city is also opening the program to more vendors—they will hit the streets next month. Read more about shared mobility here. In episode five of United Healthcare’s nine-minute podcast, small business expert Steve Strauss tackles reducing the cost of health care. Click here to listen to the podcast. Click here to read a transcript of the podcast. A MAST permit is required for team members who serve alcohol, conduct tastings or manage an establishment that serves alcohol. Get yours through the education foundation by clicking on the buttons below. Set up a group class.